TUDAAAA !!!!! I'm here to update mua bloggie !!! 230 idioms made me went INSANE !!! much more pretty than malaysia pavillion..
and the singer has a NICE VOICE !!!!! AWESOME !!!!!!! AWESOME !!!!! AWESOME !!!!!!!! still CUTE , ADORABLE , HANDSOME !!!!! i was soooooo NERVOUS when i watched the match btw KOR. and MAS. hey !!!!! at last , he WON !!!!!!!! yea.my parents keep nagging at me recently. what the heck is this ???!!!! i really study hard , kay ??? sooo happy when they all agreed with me....HAHAHAHA !!!!!! 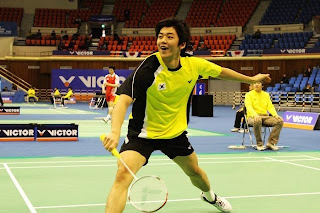 I LURVE YONG DAE !!!!!!!! !